Will Masters, Professor at Tufts University, is speaking at Food Tank’s first Boston Summit, “Investing in Discovery,” on April 1, 2017, in collaboration with Tufts University and Oxfam America. Will is a Professor at the Tufts University Friedman School of Nutrition with a secondary appointment in the Department of Economics. Before coming to Tufts, he was a faculty member in Agricultural Economics at Purdue University, as well as the University of Zimbabwe, Harvard’s Kennedy School of Government, and Columbia University. 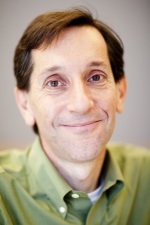 From 2006 through 2011 he edited Agricultural Economics, the journal of the International Association of Agricultural Economists, and he has been awarded both the Bruce Gardner Memorial Prize for Applied Policy Analysis (2013) and the Publication of Enduring Quality Award (2014) from the Agricultural and Applied Economics Association (AAEA). Food Tank had the chance to speak with Will about his work, inspiration, and what small steps everyone can take towards building a better food system.